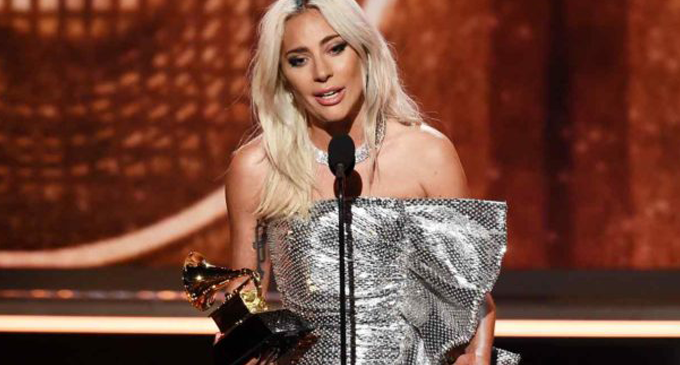 (FASTNEWS|COLOMBO) – Lady Gaga wore Platinum jewellery from Tiffany and Co. to The 61st Annual Grammy Awards in Los Angeles on February 10th. According to Tiffany & Co. Lady Gaga’s necklace took over a year to create and features an ice motif that required the most skilled craftsman and harnessed technique to accomplish. With over 91 total carats of uniquely cut diamonds, the technical innovation of each cut creates an illusion of fluidity. Platinum is one of the rarest metals & always stand out making a distinctive style statement. Celebrities worldwide have been donning exquisite platinum designs for star-studded events, red carpet and other appearances to capture their most glamorous and memorable moments.